Now this is quite unheard of. Banana chips and potato might be a popular fare but they are passe. Try Kale chips and your body will thank you. 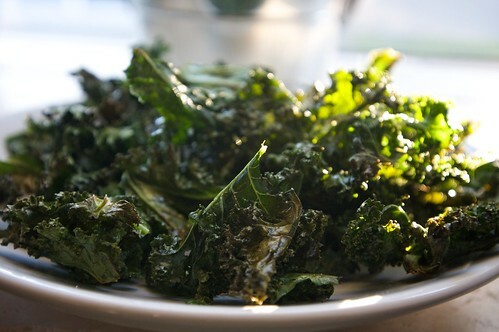 Kale chips is only 34 calories compared to high fat chips. To make it a little spicier, you can sprinkle a drop of olive oil and sea salt, which is still a better option. Now say bye-bye to potato chips and switch to kale chips for a healthier lifestyle. Who would have thought munching popcorn while watching movies will be a healthy snack. Yes, it is healthy, only if consumed in moderation. Popcorn is loaded with fibers minus the calories. It is also a source of Vitamin B12 which is an excellent fat burning and metabolism boosting ingredient.